If you're looking for an alternative to a towel ring, look no further than Della Francesca's versatile Bathroom Shelf/Towel Rail combination. 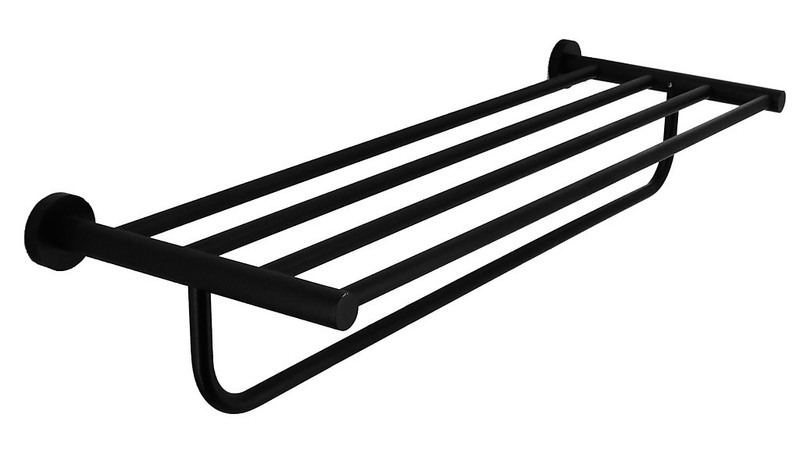 This 2-in-1 Bathroom Shelf/Towel Rail comes with a modern, sleek design that can't be beaten. It has a classic style that will fit in perfectly with your decor for years to come. This Della Francesca product is designed to give you extra storage space on the top while keeping your bath towels, hand towels, or washcloths organized and within easy reach. The extra space along the top is designed to give you that small, extra storage space that is always missing from your bathroom. The spacing in the towel bars is far enough apart that you won't have to worry about your towels not drying once you hang them back up. This Bathroom Shelf/Towel rack is a must have for anyone who has ever experienced the frustration of not having enough room to hang your towels, or who just needs a little more storage area. Since Della Francesca produces this product, you know you're purchasing a quality item at a fraction of the retail cost. 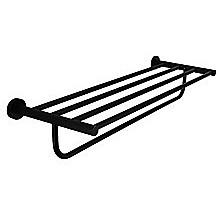 The electroplated black matte finish adds a touch of elegance as well as providing a protective layer that will keep this towel rack looking sharp for many years. Don't spend another day frustrated with your lack of storage space. 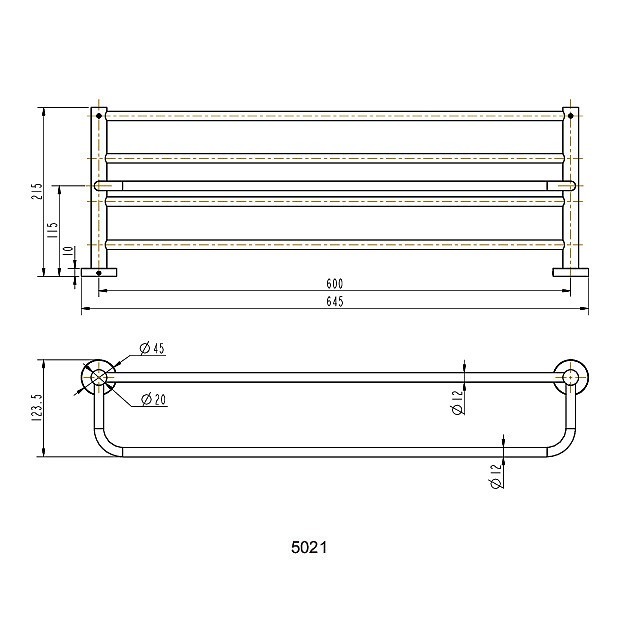 Order your Bathroom Shelf/Towel Rack today!